Scrappy Moms Stamps April Release - Card #1: Put Your Toes in the Sand! It's release weekend over at Scrappy Moms Stamps and I'm sharing my first project with you using the Walking on Sunshine stamp set! Today I used this super cute image called "Honey Bikini" from C.C. Designs. I don't know if the stamp is retired since I've had it in my stash for a while, but any summery sentiment stamp will do! Isn't she so cute? 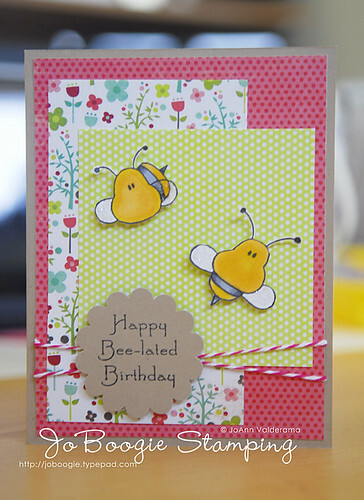 I wanted to create a card that's summery but still could be used for a birthday card so I chose these 2 sentiments from the Walking on Sunshine set. There are some GREAT sentiments - check it out below! I was asked by the fabulous Noelle over at Quick Creations if I could create a project using the latest release from C.C. Designs and of course I said YES! 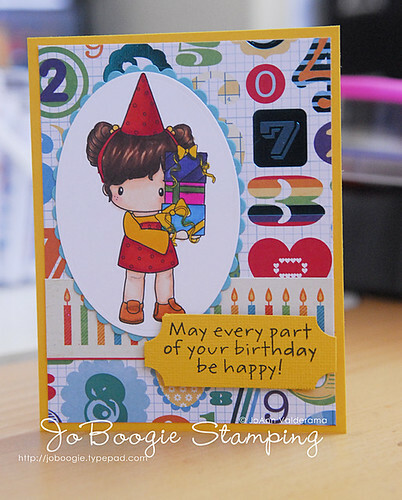 Be sure to check out Quick Creations for all your stamping needs! Noelle's prices are one of the best! And make sure you check out the BLOG too! So I've decided to really try and resurrect my blog! They may not be the most content heavy posts, let me just say, but I'm hoping they'll be more frequent. You may remember from THIS POST that I'm really getting into my You Tube channel so you'll see me more there. And yes, I have to REMEMBER to link up whatever videos I do there over HERE. I meant to post this last week so this series is actually going to seem out of order, but it's not. I'll explain why tomorrow. I really loved making this card. And it's funny - I love this time of year (but I'm not expecting anything from my DH - he's terrible with gifts. *lol*). Check out my card process video below!